One of the first question of a first time traveler to a new city will be, “What is the easiest way from the airport to the city?”. For sure you will agree with me that the most common way to do it if no one you know will pick you up from the airport is to get a taxi, why not? You’d probably say, “It’s the safest way to do it!”. You think? There are a lot of risks especially in unknown cities that you may encounter and scams aren’t uncommon to big cities but if you know that there are actually 3 Easiest Ways to Travel From Airport To City of Bangkok. #1) BUS – Travelling from the Airport to the city is easy. Despite the Airport Shuttle shutdown in 2012 at the Suvarnabhumi Airport there is currently a local bus that stops just outside Don Mueang Airport every 30 minutes that drops off passengers to their nearest route destination, most convenient way for travelers is to get off at Mo Chit BTS (Bangkok Mass Transit System) for 30THB. Fare starts at 10THB depending on the distance. #2) AIRPORT LINK – While the the Airport Shuttle Service at Suvarnabhumi Airport was halted there is no need to worry for travelers landing here. Airport Link opened in 2010 catering to local and International travelers to have a convenient access to the city with its Express and City Line Services. Express Service – Airport Link line that offers a continuous journey from Suvarnabhumi Airport to Makkasan station with a fixed fare of 150THB. If you wish to travel further to the city, City Line interchange with Express at the Makkasan station. 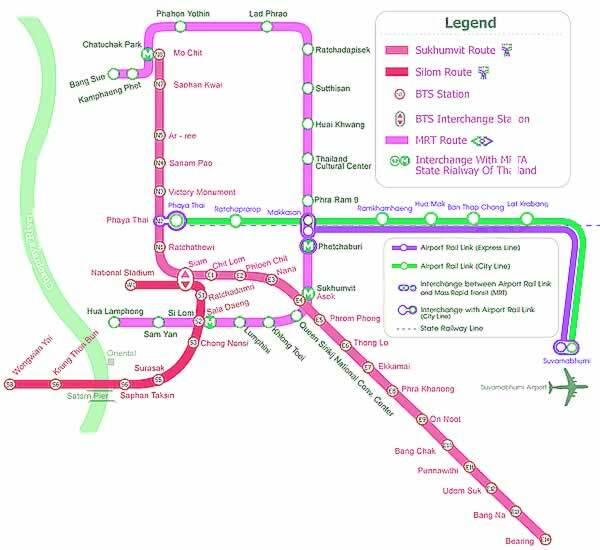 City Line Service – Airport Link line that runs from Suvarnabhumi Airport to Phaya Thai BTS Station is preferred by most travelers. Fare starts at 15THB to 45 THB. #3) TAXI – The most popular and easy transportation from the airport to the city, but it doesn’t mean its the cheapest though. Airport Taxis charges from 200THB-1500THB depending on the location; It was 250THB by meter to Sutthisan for me recently (as of January 2015) and they have created a queuing system for metered taxis to avoid traffic and clogging at the arrival area. TIP: Always ask for metered taxis. I love how Thailand is acting upon the complaints of travelers, just like how the viral blog of the Japanese dude.